Cult Nails Annalicious - my all time favorite red! - Polish Etc. Cult Nails Annalicious - my all time favorite red! How are you all today? It's is a beautiful Saturday in South Carolina. After a taste of fall last week temperatures are back up, the sun is out, and there's a beautiful breeze. Not only that, I finally got a decent amount of sleep, and am having a wonderful day! In honor of a wonderful day I want to share one of my all-time favorite reds. 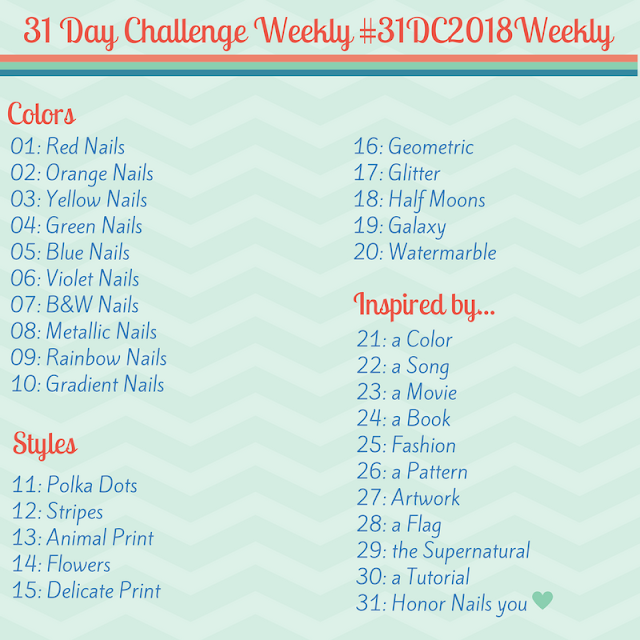 Now, for a girl with a collection consisting of more than 100 red nail polishes a favorite is a bit of a big deal, and this polish is definitely a big deal! This is the ever gorgeous Cult Nails Annalicious. It was released this summer as part of Coco's Untamed collection, designed by Maria's (creator of Cult Nails) daughter. This collection contained a few bright and crazy colors for the usual sophisticated Cult Nails, but I was completely and utterly impressed with all of them, especially when I discovered my new favorite red. Annalicious is a bright tomato-red base loaded with gold shimmer. The shimmer is glow, sparkly, and completely gorgeous. The formula is amazing, almost a one-coat red, although I habitually use 2 coats to wrap my tips and even out my cuticle line. I may have gotten a bit photo-crazy, but every one is gorgeous and shows a different side of Annalicious! It has pretty much become my go-to red for both manis and pedicures and looks amazing with my skin tone. I picked up a back-up bottle when I learned that this was to be a limited edition polish, once it's gone, it's gone so get it while you can! Cult Nails has a tagline "join the cult" and I'm definitely a cultie. I own so many of their polishes it isn't even funny. Each one has such a fantastic formula and gorgeous color that I can't get enough. Cult Nails also has the most fantastic customer service that I'm never disappointed! Cult Nails polish is available from cultnails.com where they retail for $10 although there is currently a Cultoberfest sale going on that ends October 19 (2012). Enter the code "CULTOBER" in the checkout to get 20% off an order of $20 or more! (if you order, you will go through paypal, return to the cult nails site then have the opportunity to enter the code). This is a really great deal on Cult polishes so I recommend you check out their other polishes! I've also reviewed Iconic (another favorite of mine..), I Got Distracted (which is seriously so much better in person), and Feelin' Froggy (a green I actually like!). Surprisingly few swatches for a brand I wear all the time. But that really means that they are my go-to polishes when I can't decide/need a quick manicure and don't have time to photograph! I just love this color so much! Are you a red-lover or a red-hater? What is your favorite red?